National law firm Weightmans LLP has handed its PR brief to Citypress. 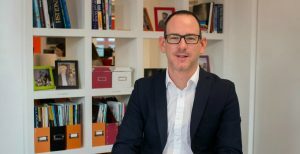 The agency, which has Northern offices in Manchester and Liverpool, will deliver a new PR and media strategy that will promote the expertise of the 180-year-old firm’s specialist teams across the UK. Weightmans, which employs 1,400 people including 179 partners, has appointed Citypress as part of its push to achieve its growth ambitions. The agency was appointed following a competitive tender process that sees the law firm consolidate its existing regional and national briefs under a single agency. Weightmans has 11 offices nationwide, with a full service marketing team operating from the firm’s Liverpool office. The win follows the launch of Citypress premises in the city, led by senior account director Pete Lappin, last December.